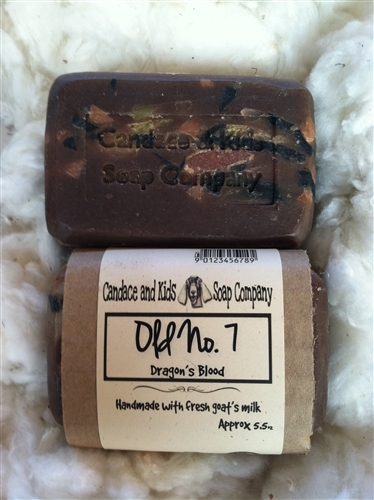 A nourishing goat milk soap that is earthy and spicy with a hint of fruity sweetness. This colorful bar is topped off with trimmings from seven other soaps. Saponified olive, coconut, palm and soybean oils, shea butter, goat's milk, dragon's blood fragrance oil, natural color and natural vitamin E. May contain botanicals, exfoliants, other fragrance and essential oils.